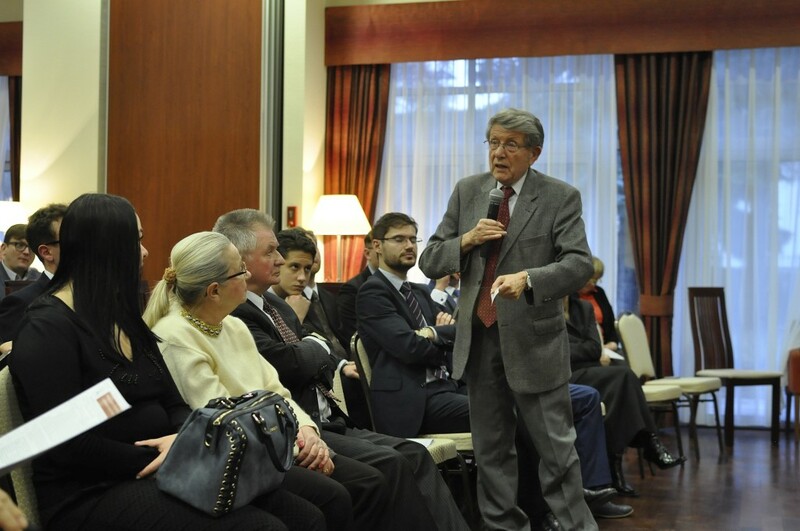 “There is no alternative to cooperation with Germany and the EU ” – such conclusions were reached by participants in the debate organised by the Casimir Pulaski Foundation in cooperation with the Centre for International Relations to discuss the exposé of the Minister of Foreign Affairs Witold Waszczykowski. 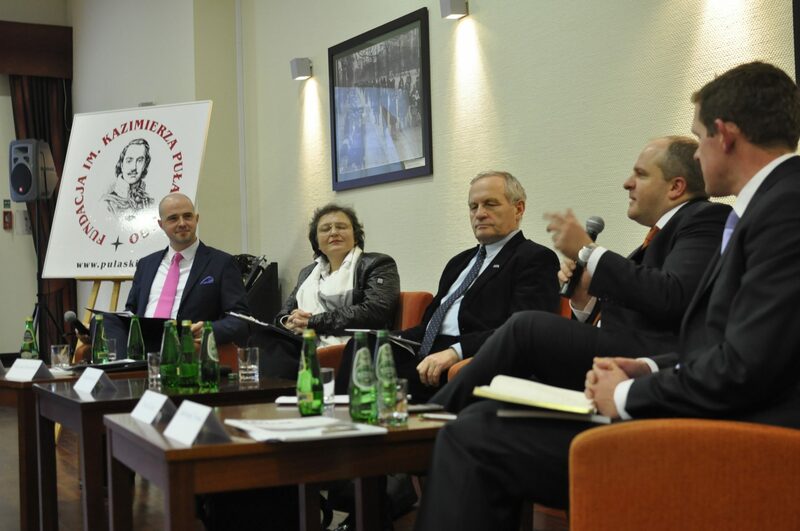 The debate was moderated by the President of the Casimir Pulaski Foundation Zbigniew Pisarski and was attended by president of the Center for International Relations, Dr. Małgorzata Bonikowska, prof. Stanislaw Koziej, Dr. Bartlomiej Nowak and Dr. Pawel Kowal . 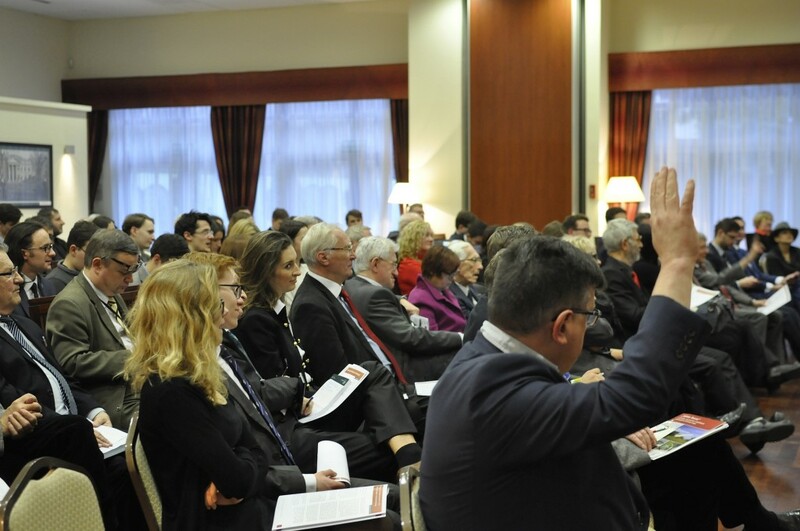 At the very beginning of the discussion differences in the assessment of the foreign policy of new Polish government emerged. General Koziej acknowledged that the policy of President Andrzej Duda and the new government, especially towards NATO, is a good continuation of the previous government’s one. Polemical position was taken by Dr. Bartlomiej Nowak, who stressed that the expose made ​​by minister Waszczykowski is probably “the most difficult moment for Polish foreign policy since 1989″, because it completely negates the approach of previous cabinets. Another topic of the discussion were the Eastern affairs and relations with the Russian Federation. 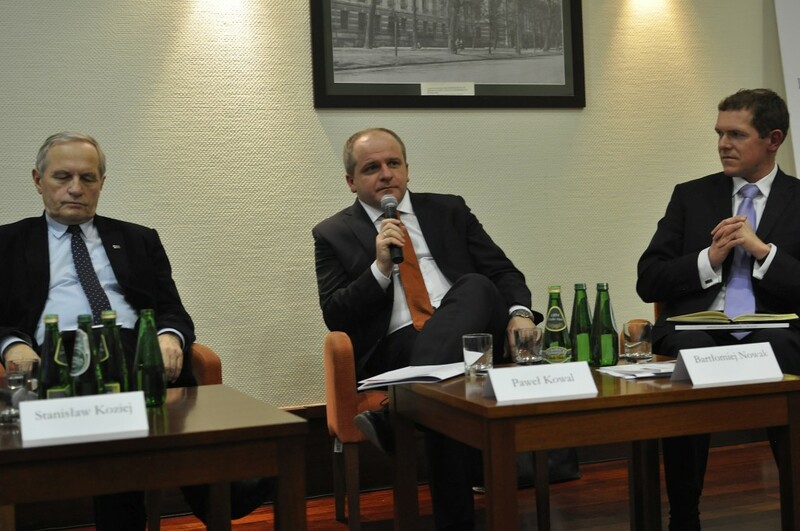 Dr. Pawel Kowal positively assessed the current actions of the Polish government towards Russia. According to him, Moscow does not seek good relations with Warsaw, because Poland plays a role in creating negative propaganda in Russian media. Dr. Kowal also warned that Poland should strive for the creation of a new “Eastern initiative” and protect the achievements of the Eastern Partnership. This is important because it creates the image of Poland as an active and effective player in the Eastern affairs. Pawel Kowal also pointed out that the big challenge for the new Polish government is to avoid being accused by EU of straining democratic standards. He added that it is necessary to build a good relationship with the European Commission, which will be crucial in the context of relations with the EU in general. 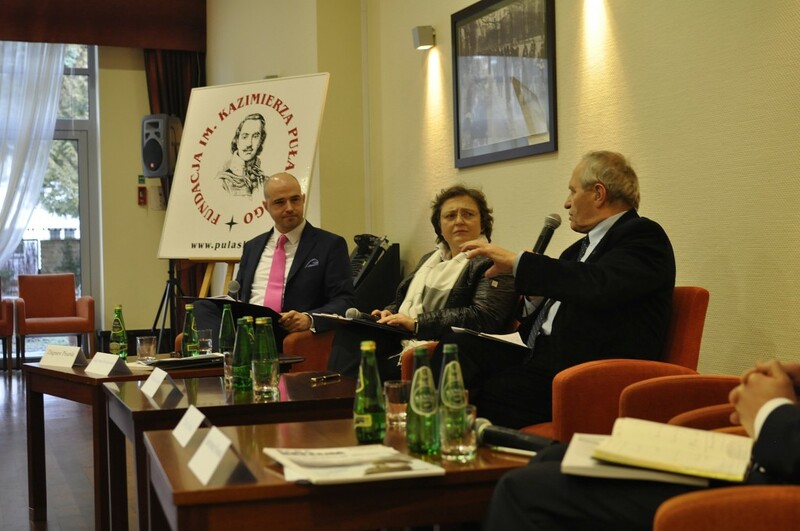 The ambassador Jerzy M. Nowak also took part in the discussion and negatively assessed the exposé of Minister Waszczykowski. He stated that “this is not good change” and the expose of the new Foreign Minister was too emotional. Janusz Onyszkiewicz, fmr Minister of Defence stressed the cooperation with the United States. According to him, Poland should have no illusions that if it wants to be an important ally for the USA, it must have a strong position in the European Union. A similar situation can be observed in the case of the UK, which is more valuable for the US, as a member of the EU.